The QCDSM System of Lean Manufacturing and Management is introduced by presenting the uniquely designed Try Z Seminar as the first step in implementing the system. It is important that the executives, managers, and company personnel who will influence organisational change in the company participate in this seminar at the very beginning. Through an introspective two and a half-days, the delegates will explore and develop an understanding of the challenges involved in creating a continuous improvement environment in their company. 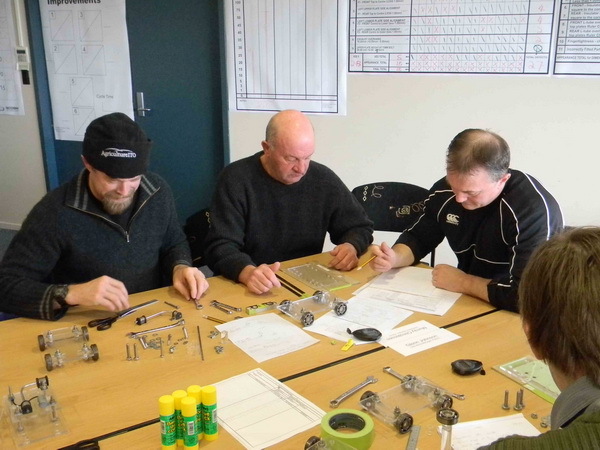 The Try Z Seminar focuses on explaining the QCDSM principles though the process of physically building 15 small, yet fully adjustable, model cars. Each unit has 68 different parts. The delegates then take this process through three continuous improvement cycles. The group begins by formalizing the process, then testing the results. 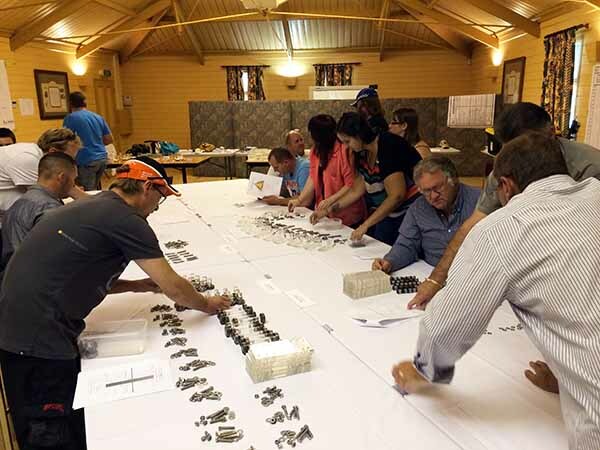 The initial production run takes approximately one hour, after which delegates usually identify from between 150 to 200 defects in the model vehicles they produced. They were given a pre-written process known as the Detailed Process Sheet (DPS) which by design is not perfect. At this time, Lean principles of manufacturing and management are applied through the ideas and suggestions of the delegates based on the measured results and continuous improvement is made to the procedures used in the first production run. This is done solely by the people at the various assembly stations. There are a total of 3 production runs. Among the results of this training is the development of an appreciation of the challenges involved in creating an environment for continuous improvement based on Lean Management and Manufacturing principles. When delegates leave the Try Z Seminar they will know how to begin to create the environment which will help the company apply the those principles. An important other take-away is an understanding that the purpose of doing business is to ensure customer value which is sustainable and continuously improved. An appreciation of the quantity of detail involved in managing processes as well as people. They will have experienced the vital importance of communicating with their suppliers and customers in the process. The realization that everything is a process. Understanding the importance of the written “Detail Process Sheet” to obtain continuous improvement. The discipline of sticking to the environmental changes which one is trying to create. The importance of teamwork as each team member improves his or her process based on its Quality, Cost, and Delivery and Safety measurements. The understanding that the removal of waste (Lean practices) is critical to continuous improvement. That 5S principles must be included in all improvements. Those people who are going to become the ‘instruments of change’ in a company would be the first to benefit from this training. Prospective Green Room leaders and their backups, their supervisors and so on up the chain of command. Support people important to the functioning of the facility should also be included. Many companies use this seminar to generate what we refer to as the ‘critical mass’ in terms of excitement, knowledge and understanding. The name TRY Z (Trial Zero) is derived from a process common to the automobile industry. It refers to a method whereby model changes for production are made and introduced into a production line. Try Z (or ‘Trial Zero’) is a three-step procedure. 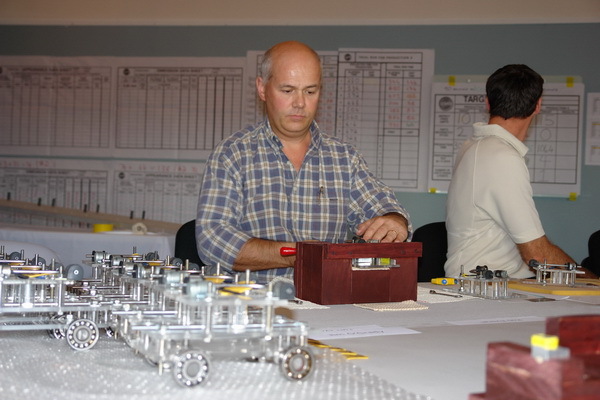 When changes to a current model unit – or to a new model unit at pre-production stage – are imminent, the model unit is laid out in an assembly hall separate from normal production. All concerned with the development of that model unit, including production personnel, begin to assemble the unit from scratch, documenting their activities. The purpose of this first step is simply to see if the parts fit together, how they fit together and if the unit finally works. The documentation – Detailed Process Sheet (DPS) – is their record of the assembly activity. They then evaluate what they have done and make necessary changes. Using the original document to make whatever changes are necessary, they then proceed with the second build. Following the same procedure as before, they make a third attempt incorporating the changes into the assembly process. The operators for that new model are then trained from the development document (DPS) and the new models are introduced gradually until the last of the previous models are worked out and the new models have taken their place on the assembly. 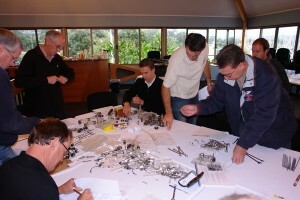 The QCDSM Try Z Seminar follows the above process to produce the model car. QCDSM is the process that addresses the fundamental challenge of involving all your employees in the drive for productivity and efficiency. This leads to high morale and the involvement of your whole team in helping to achieve the company’s goals. It is the process whereby the people of a company are enabled, through their participation in decision making, problem solving, safety enhancement and delivering improved efficiencies and productivity, to reach the next step in your company’s push for excellence and growth. As an introduction to QCDSM as a whole and the Try Z Seminar in particular, we have developed what we have called the ‘Executive’ Try Z! This is also a two and a half day seminar. It is directed specifically to those key persons in your company who will need to promote and drive the full implementation of the QCDSM process. The QCDSM process section in this web site contains a full description of how the QCDSM process works. However, we will be privileged to visit with you, at our expense, to further explain the process and its implementation. You can find our contact details here. 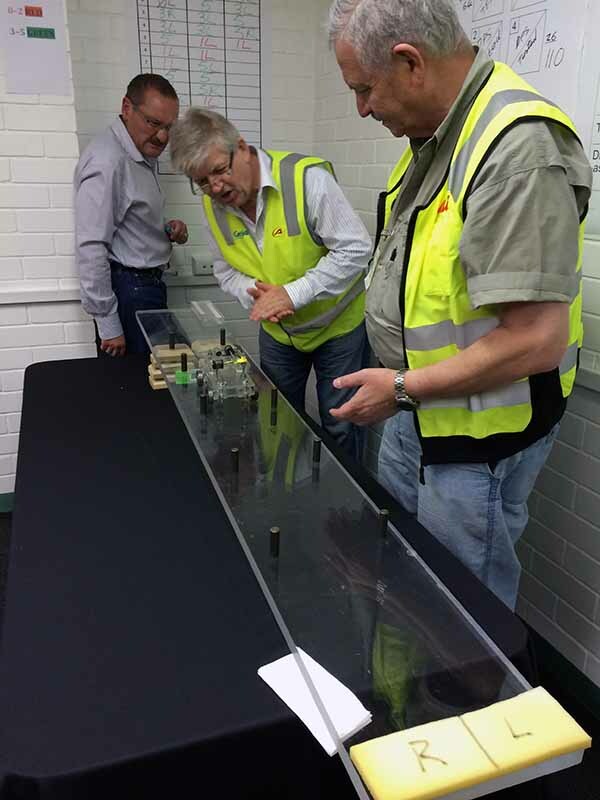 Using a scale model car to demonstrate the QCDSM process is designed to help all understand that if they are able to manage the requirements for building 15 of these to specifications and within the time frame, the lessons learned can be applied to any industry or business or process. Waste is the driver of inefficiency and high cost and contributes greatly to rework and customer dissatisfaction. The removal of waste is perhaps the key point of implementing Lean practices in a company. Lean implies that a company is operating at its peak efficiency and productivity. So much ‘other stuff’ gets into the working of every department and area in any company. It is this ‘other stuff’ that Lean focusses on and begins to remove, improve on and change completely. QCDSM is the ideal process for this to happen. Firstly, through the Green Room process, every person in every department is involved in measuring their outputs and performance. This alone, through the visual process of charting during their meetings, focusses their attention on what is going right, what is going wrong and what can be done to change or improve the result. This is the major first step in waste removal and through this process each area begins the movement to more obtain more efficiency and productivity. Because every level of management is involved in the Green Room process, the ideas and suggestions of the people at the 1st level can be monitored and implemented. This is the ‘breeding ground’ for waste removal and sets the stage for a highly efficient, productive and LEAN company. Another major benefit? A highly motivate and happy workforce. QCDSM as the management tool for the maintenance of ISO 9001 Certification plus Levels 3-5 Certification from NZQA in New Zealand. Many companies are embracing the ISO 9001 process as they enter into the global dimensions of doing business. The success of this movement requires that a Quality Management System be established within their organization together with a method of managing this system. Based on the Ten Quality Management principles incorporated into the ISO 9000 2000 process it is our belief that the QCDSM System, once in place, provides the framework for the management of the ISO 9000 2000 system. The management and maintenance of an initiative, once implemented, is a critical requirement because once embarked upon, the ability of the facility to succeed with the initiative depends on how it is integrated into the daily business of that facility. QCDSM initiates a cultural change in the way in which a company does business. The integration of QCDSM and ISO 9000 2000 will enhance this change and move the company forward on it’s road to excellence. There is a caveat as well – QCDSM and ISO 9000 and in fact, any initiative embraced by a company, must be integrated as part of the culture of a company for it to be successful. QCDSM is designed to facilitate this process of integration. We will happily explain how QCDSM ensures that the integration of the ISO 9000 process with QCDSM becomes a cultural part of the way in which business is conducted on a daily basis. The Try Z seminar is ideally suited to demonstrate how this management process works. 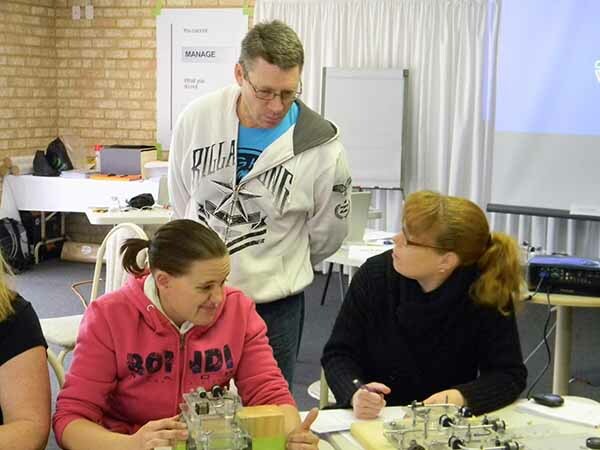 QCD Systems is certified to train and assess employees in New Zealand companies to sit for and obtain the Levels 3-5 of Competitive Manufacturing. Our third QCDSM training module deals with the “Green Room Meeting” purpose and structure. Improving the Detailed Process Sheet. Will our improvement affect your station? Rearranging the layout for optimum performance.